On August 23rd Jimmy was minding his own business walking to Three Kings Public House to help a co-worker with computer questions. 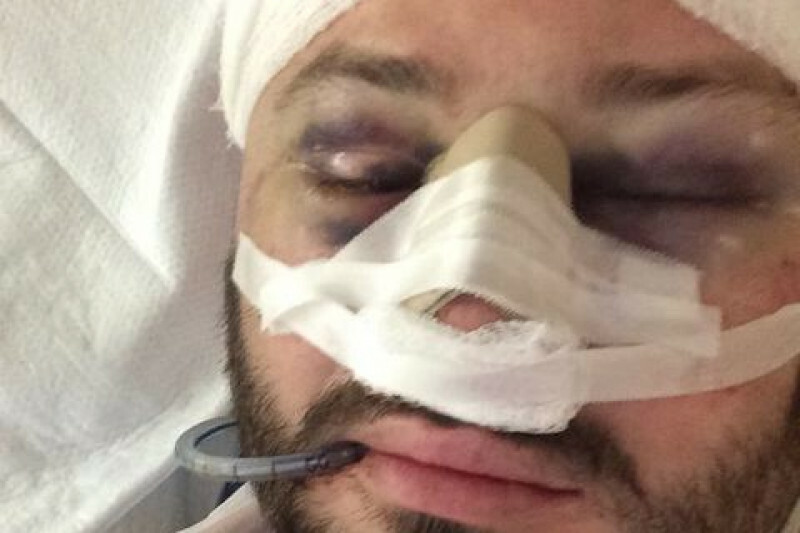 Unexpectedly, he was knocked onto the ground from behind, hitting his head on the sidewalk. The culprits demanded money while repeatedly physically assaulting him until he was close to unconsciousness. Several surgeries later and what will be weeks of missed work will leave Jimmy with a substacial amount of medical bills; all because he was simply walking down the street. We are asking for donations to help our friend Jimmy pay off some of his medical bills and ensure he won't have to worry about rent and bills for the upcoming months. Jimmy is the type of person who would help anyone out and always lends an ear. Any donation would be helpful for Jimmy. 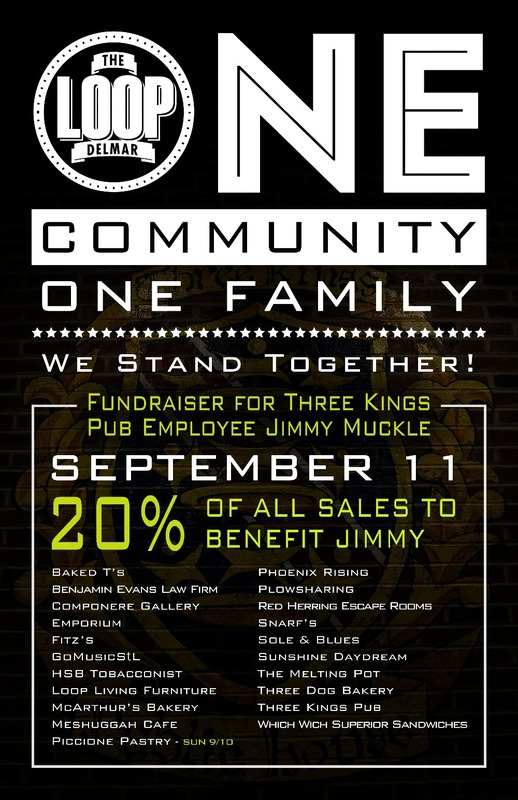 Three Kings Public House Delmar will be holding a fundraiser night on 9/11/2017 from 4-midnight offering some great beer to drink with all proceeds from draft beer sold going to Jimmy. It is amazing that so many people are coming together to turn this negative event into positive action so that we can build a better, stronger community together! 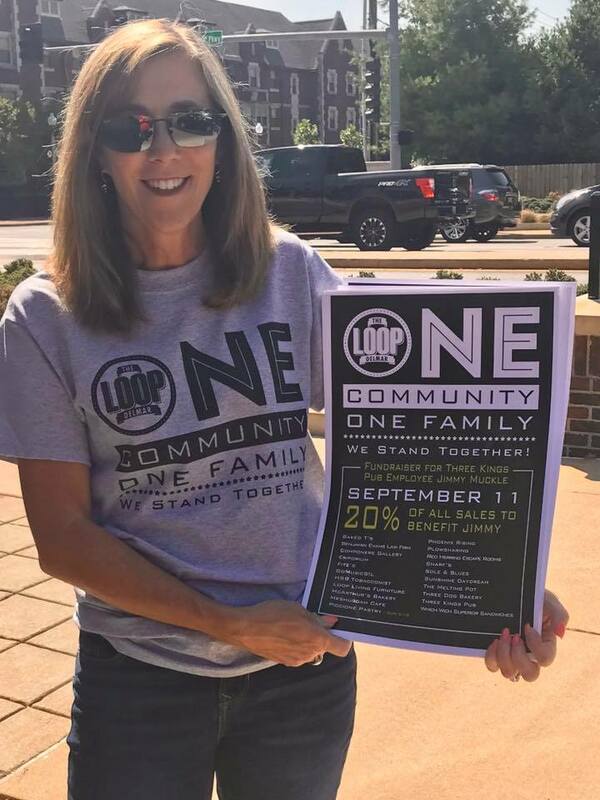 On September 11th, more than 20 Loop businesses will donate 20% of the day's sales to benefit University City resident and Three Kings employee Jimmy Muckle. Three Kings Delmar will also host a 50/50 game with proceeds benefiting Jimmy along with a silent auction. If you have any items to donate to the silent auction, please let us know! Baked T's in The Loop has created a shirt called "We Stand Together" where all profits will be donated to assist with medical expenses for Jimmy Muckle. You can also stop by Baked T's at any time to make your purchase at 6368 Delmar.